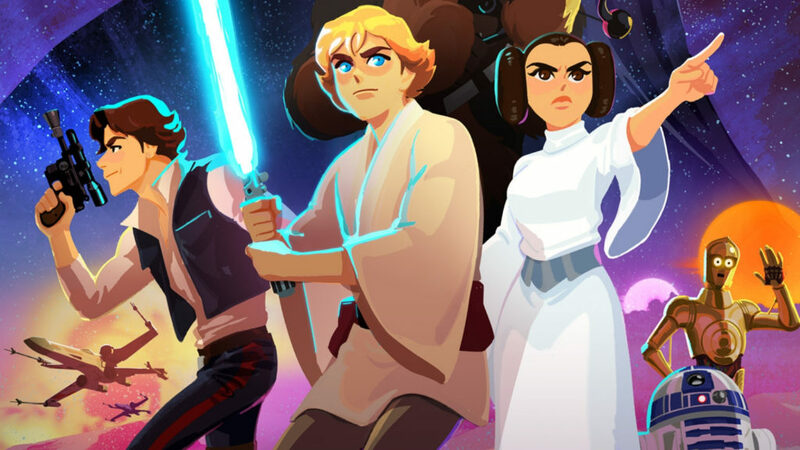 Disney has revealed a Star Wars-themed YouTube channel for kids set to feature the new Star Wars Galaxy of Adventures show. The show will consist of a series of short animations about the original Star Wars stories, making the historical pop culture hit accessible to potential young fans. “Debuting on the all-new StarWarsKids.com and the Star Wars Kids YouTube channel on November 30, the first six shorts combine original dialogue, music, and sound effects with bold new animations,” revealed Lucasfilm executive James Waugh. Lucasfilm, the home of Star Wars productions, also revealed that the show will include educational content and add-ons for older viewers. The show will air on the new Star Wars Kids YouTube Channel as well as Disney Channel and Disney XD. Disney also dropped the show’s trailer on Twitter.